Today’s outfit is all about the Tribal or Aztec prints. I’m going wild for tribal. 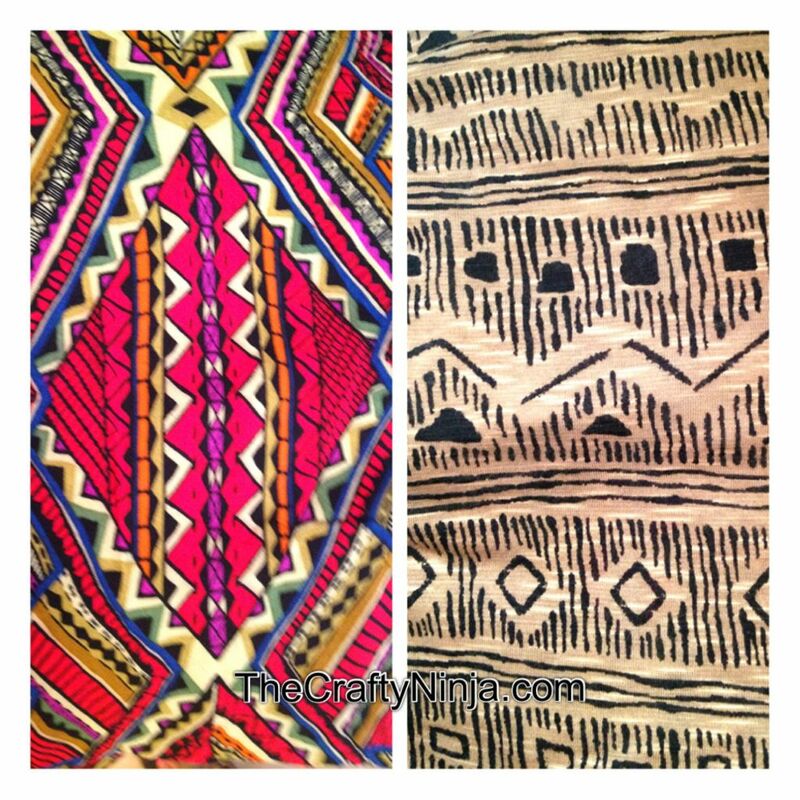 The tribal prints are warm colors with geometric lines and shapes that are appearing everywhere in fashion! The dress is from Target with a sweetheart neckline (I like this one here). The necklace is vintage. The envelope clutch is also from Target (I like this one here). My finger jewels are from Claire’s, which I turned toe rings to create the double finger look (Similar on here and here). The silver cuff is from Khols (I like this one here). Another Tribal or Aztec look with my Romeo and Juliet Couture cutout sleeves dress. I also added accessories on my head and ankles. 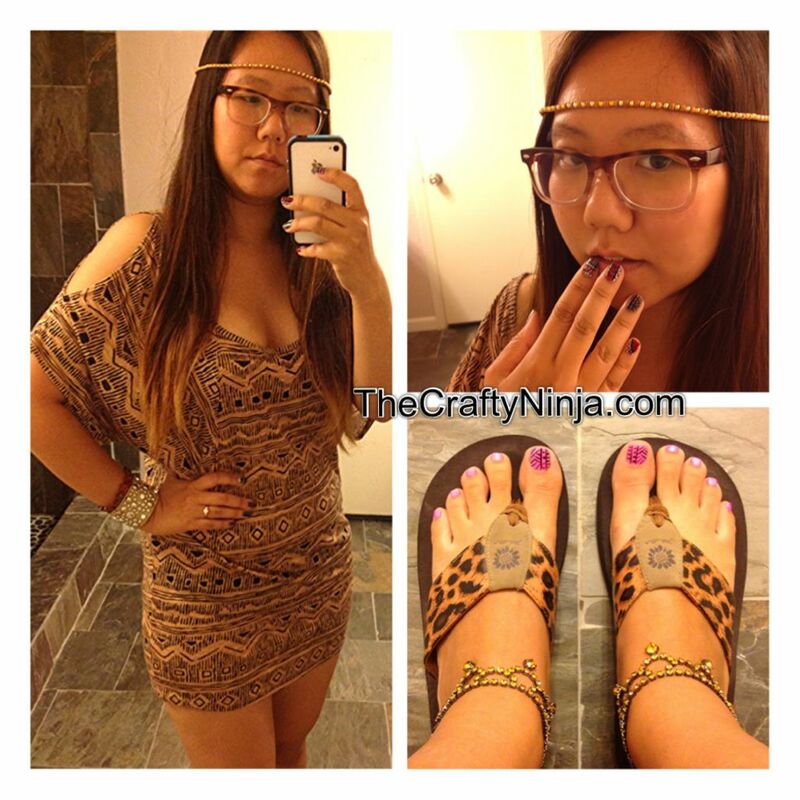 My toes are also painted with the tribal pattern. Here is a closer look at both fabrics. Love them! Here is my Tribal/ Aztec print nails I painted. I’m pretty proud of how they turned out! 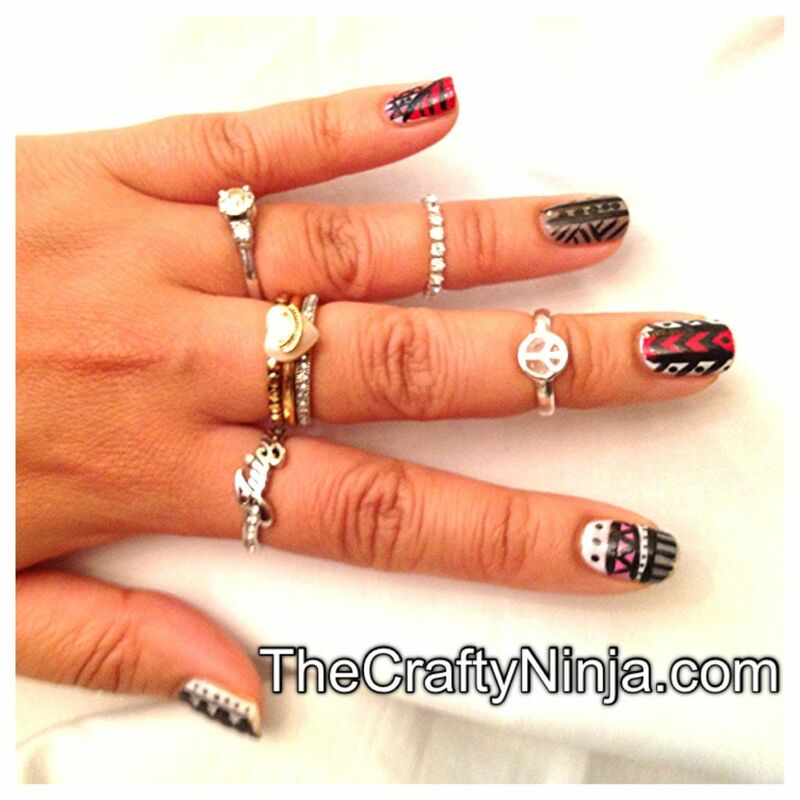 The tutorial for Tribal Nail Art DIY. My favorite finger jewel is my little peace sign ring, you can purchase here. Then my Juicy Couture stack rings and Juicy script ring, here.